Mark Teverson started and ran the legendary Foundry in Shoreditch, London EC2 in 1998 and Soho Studios 1983-95. Astrophysics (MSc), philosophy (MA) and quantum mechanics & relativity finished June 2017. Currently doctorate studies for a PhD in quantum mechanics & theoretical physics. 1st December 2018 As mentioned in the post on 9th July, I have had medical issues. These should be resolved in early New Year, when I shall be renewing this worthy cause with vigour. I’ve been on this case to return the Peter Street site to the community for 7 years, so a short Christmas break is in order! 16th September 2018 Having spent 6 weeks trying to elicit comment from our solicitors to Cllr. Lewis’ letter, I am resolved to writing it myself, in my pigeon legalese! 2nd August 2018. Capital City College Group respond to Cllr. Lewis’ letter – this is the first reaction we have received from them for some 7 years! Their email is negative and inaccurate, and continue to suggest they are about to do something with the site, semi-derelict for 40 years. They told this to 4 Westminster councillors at our planning appeal in 2012, that they were “imminently to embark on extensions to the Schoolkeeper’s House. 1st August 2018. Pancho Lewis sends a letter to Capital City College Group. We don’t have a copy of this yet. 9th July 2018. 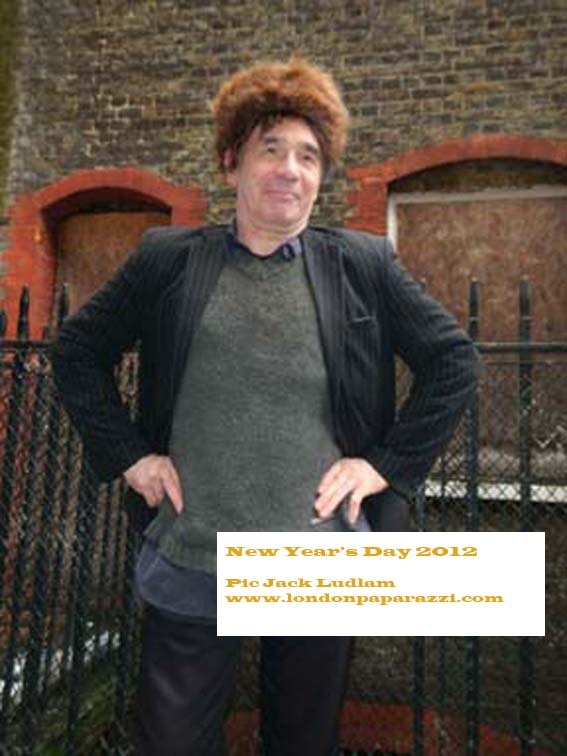 After nearly a month in hospital, I re-corresponded with Pancho Lewis, Westminster West End ward Labour councillor, and he has agreed to liasie with the Capital City College Group (their new name) on behalf of Berwick Street Community Group to obtain a long lease on the Schoolkeeper’s House, adjacent land and outside toilets. Great news! 24th May 2018 Meeting with Pancho Lewis, new Labour councillor for West End ward, Westminster. He is the first Labour councillor in this ward for decades. We agreed to postpone discussions for some weeks. Pancho could be the catalyst to commence discussions to achieve a long lease on the Soho Foundry site, after 6 years of being stonewalled, almost certainly because they want to sell the entire site for corporate development. 15th March 2018 Productive meeting with our solicitor at Simons, Muirhead and Burton on Frith Street. We discussed a revised proposal to the new college group, WKCIC. This involves more people considering our project, as opposed to just the principal for Westminster Kingsway College. It makes a lot of sense for them to allow us to develop the School Keeper’s house and return it to the community. 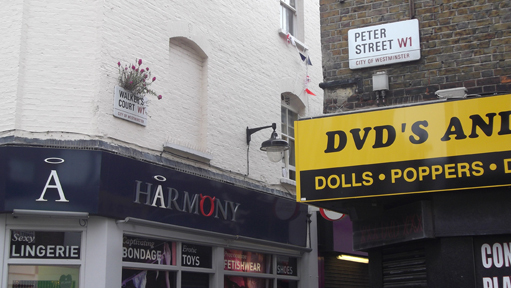 26th January 2018 Emailed Westminster planners to obtain confirmation that a commercial change of use from 100% community/educational use of the Peter Street would not be entertained. I quoted support for this by Paul Church (Soho ward councillor), Andrew Murray (chair of local tenants’ association and planning committee Soho Society) and Alastair Moss (ex Westminster councillor and local resident). Further support is galvanised by the Asset of Community Value successful nomination of 17th January 2017 by Berwick Street Community Group, signed by over 50 local residents on the Westminster electoral register. We hope this will make the college’s governors agree it is reasonable to give BSCG a long lease on the Schoolkeeper’s House and adjacent land. 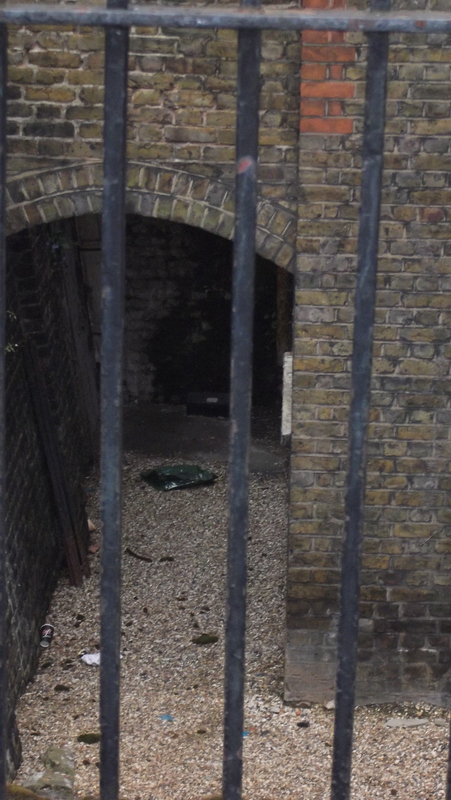 30th October 2017 Walkers’ Court, a few yards from the Soho Foundry building. This is the Olde Soho, the Spirit of which is being sucked dry by corporate greed. It will be gone forever. 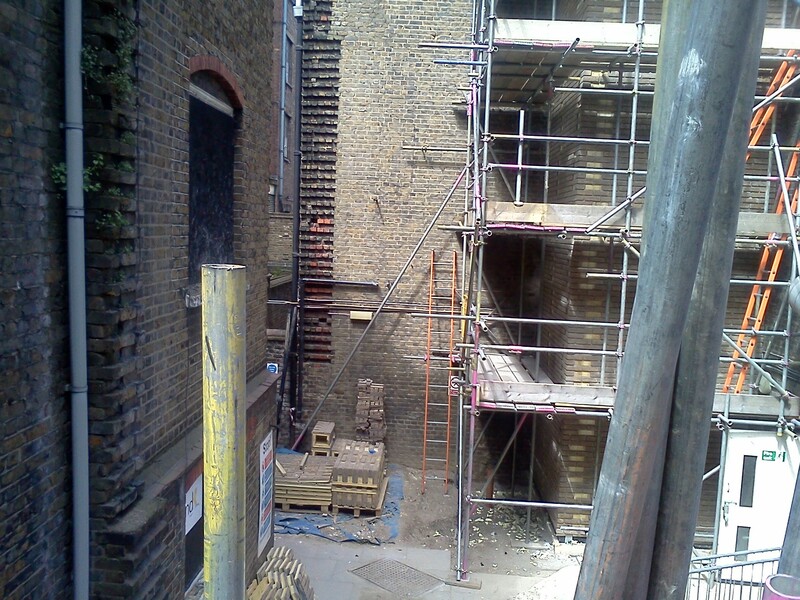 The Soho Foundry will be the only new, innovative, indigineous project likely to happen in no time soon. 23rd September 2017 The Kraken wakes. Soho shrivels off her sullen shell! September 2017 Meetings with two councillors: Paul Church, West End ward councillor with a keen interest in the community and the gentrification of Soho, and Alastair Moss, an ex-Westminster councillor, living opposite the Peter Street site. Also met with a Westminster planning officer to discuss the likelihood of a commercial/residential planning application being successful; we believe this is the reason the college have left the School Keeper’s House empty and derelict. 29th August 2017 Successful meeting with one of the three Conservative councillors for the West End ward, Paul Church. 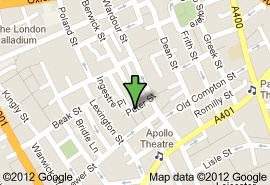 We met at Lina Stores, an Italian deli and cafe on Green’s Court, an alley opposite the Soho Foundry. 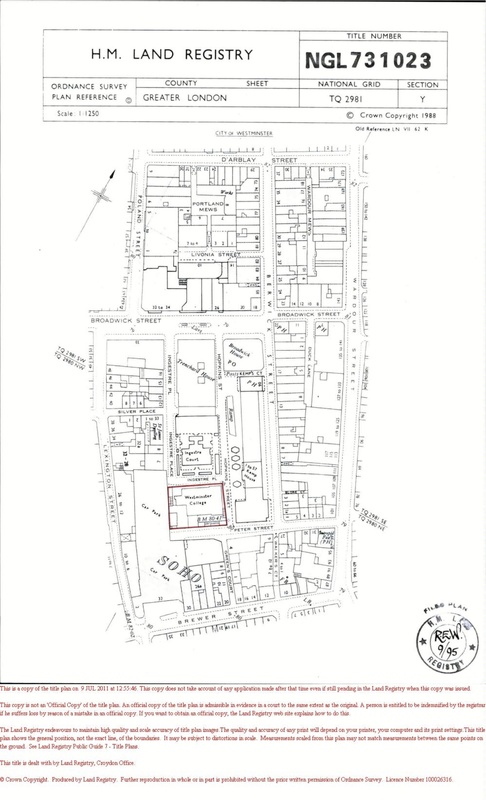 He is concerned over the gentrification and rampant corporate development in Soho, and has agree to contact the Westminster planners to request a viewpoint on a hypothetical change of use of the entire Peter Street college site from the current 100% educational/community use to mixed commercial use. This viewpoint would be very useful to persuade the college’s governors there is no point in hoping to sell the site for commercial gain at the loss to our community. 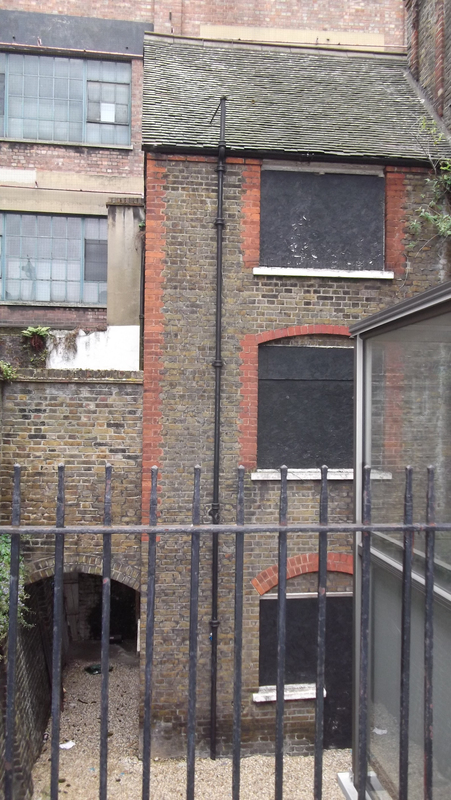 The only sensible course of action is to let Berwick Street Community Group renovate the School Keeper’s house at our expense as an arts hub and family cafe. 9th August 2017 Meeting our property lawyer today to discuss my draft revised proposal to the new college group. Maybe we’ll get a result this autumn! 6th July 2017 Finally received the minutes today for the Finance & Resources meeting held on 9th May. This should have discussed our proposal; they didn’t. Resolved now to approach the now larger group of senior personnel at the WKCIC Group with our proposal, and will meet our estates lawyer, Martin Smith at Simons, Muirhead & Burton to recompile our letter. 19th June 2017 Noted that Westminster Kingsway College have amalgamated with City & Islington and Capital colleges to form the WKCIC Group. This may well explain why we have received no response to our proposal of 15th March. However, the Finance & Resources committee noted on 27th February that an ACV had been approved on the Peter Street site on 17th January. Also received today an email from Paul Membrey, a member of the family that last lived in the property till 1988. He was born there in 1952! 20th January 2017. 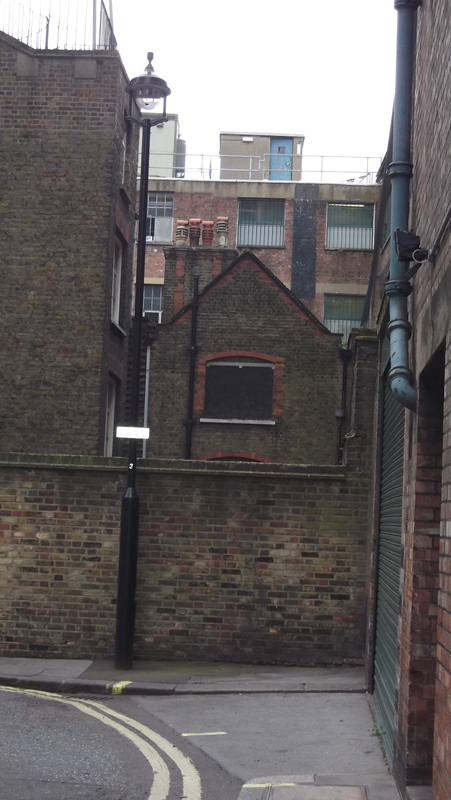 Suggested position for the Soho Tower; the North Western corner of the site, adjacent to the elbow corner of Ingestre Place. The well equipped, large kitchen in the basement of the main college building is virtually unused. Attached to the Schoolkeeper’s House via a door from the open, basement level outside space, would avail indoor and al fresco dining. 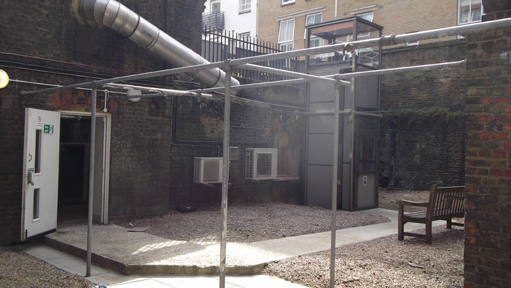 Emily Fribbance, from the London School of Architecture, Hanbury Street, has suggested an observation tower. Similar to the Monument (203 ft) in the City, designed partly by Sir Christopher Wren – a `celebration’ of the phoenix-like survival of London after the Great Fire of 1666 – this would give views over Soho, and celebrate Soho as THE centre worldwide for innovative culture and entertainment. Christened the `Soho Tower‘, this is a first visualisation. 18th January 2017 Asset of Community Value application APPROVED by Westminster council. The nomination was for the entire Peter Street site, which includes the main college building as well as the Schoolkeeper’s House. The council upheld the view that the house, though disused for some 30 years, should be included in the nomination. To this end, Barry Smith, Head of City Policy & Strategy, Westminster council, cited a ruling by Judge N.J.Warren, Gullivers Bowls Club Ltd v Rother District Council  CR/2013/0009, 24 April. 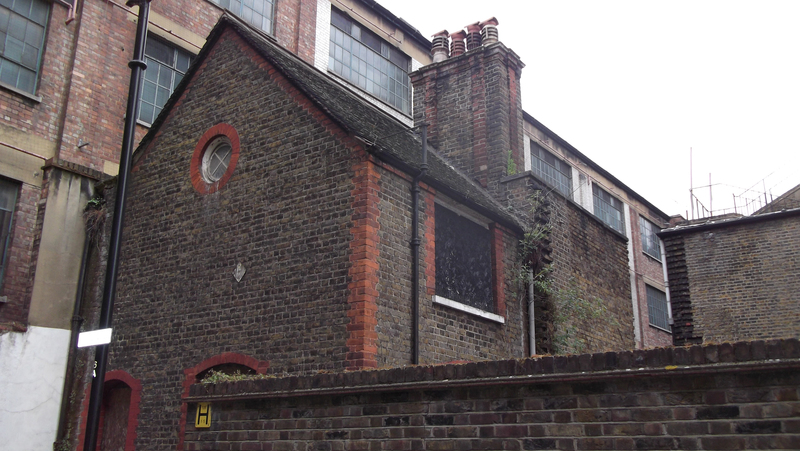 We hope this approval will persuade the freeholders, Westminster Kingsway College (WKC) to grant a long lease to Berwick Street Community Group, and refrain from refusing to permit to have use of the Schoolkeeper’s House as an asset to the community. WKC have consistently refused use of this building to the community, clearly anticipating a future sale of the entire site to private developers. This would occur immediately the government permit a relaxation of planning conditions to mixed use, but which are currently 100% educational on this property, and therefore of no interest to developers. Their view is that use of the house would impede a corporate sale, and they have intentionally let the building fall into disrepair. The site was inherited by WKC from the State for free in the 1990s! 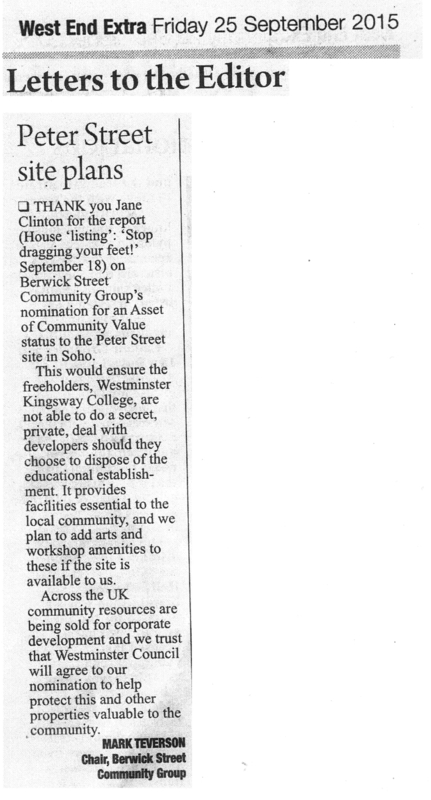 The ACV now forces WKC to have a more honourable relationship with the Soho community, from whom they were clearly anticipating making a vast profit – of the order of £300 millions, along with the “incentives” inherent in a private deal of this size. Our Asset of Community Value listing represents the only instance of the community standing up – and winning – against rampant corporate development throughout Soho, with the resulting destruction of urban communities and gentrification to the benefit of corporations and the wealthy. 16th November 2016 Asset of Community Value application accepted for consideration by Barry Smith at Westminster council. This nomination cannot be appealed on the grounds of the minimum 21 nomination signatories on the electoral register in Westminster. We should therefore have the nomination approved within 8 weeks of 16th November. 8th October 2016 New Asset of Community Value draft application forwarded to Barry Smith, Head of City Policy and Strategy and Steve Brandon, senior planning officer at Westminster council. 51 signatories from Westminster electoral register alone! 17th July 2016. 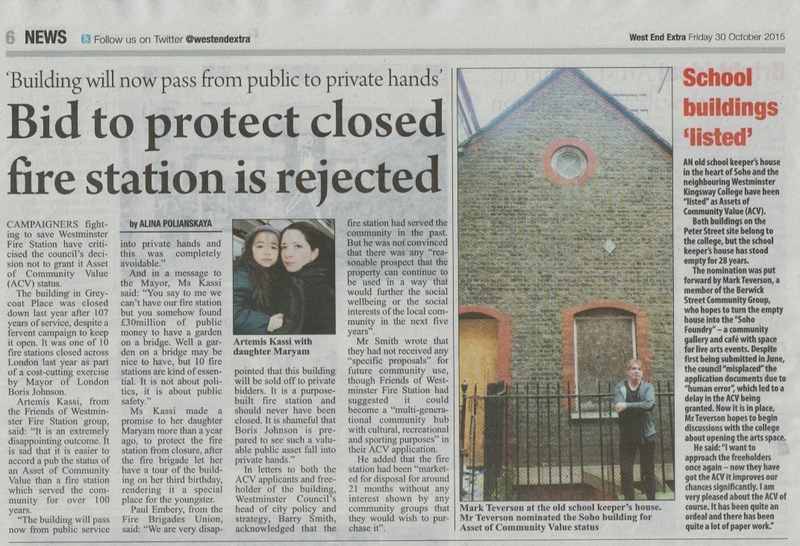 Big push to get a new Asset of Community Value application to Westminster council. The ACV prevents the freeholders of this once publicly owned college, with many essential facilities for the community, being sold privately to corporate developers. It is currently for 100% educational use, but the government want to relax these rules to allow mixed use – e.g. shops, offices and expensive flats. It is in a prime development area next to Berwick Street market, and its value is estimated would go from nothing to approximately £300 million. The freeholders are desperate to stop this application. Our successful application last autumn was finally rejected on a technicality, the fault being the council’s procedure. The freeholders used expensive lawyers and planning consultants to bully Westminster council. They will not succeed this time! This is a way to fight the wholesale destruction of our community by mindless, greedy developers! The nomination list being created by several people to get at least 50 local people who are on the electoral register to sign the ACV. Today, Sunday 17th July, it will be on the Museum of Soho stall at the Soho Festival, Wardour Street 12-6pm. 14th July 2016. Recuperation from total hip replacement took longer than expected! Renewed vigour in new ACV application. A local pub, Coach & Horses, Greek Street, Soho is taking nominations, in addition to Berwick Street Community Group members. We are aiming to submit at least 50 signatories to Westminster council. 12th June 2016 New Asset of Community Value application. This week I am housebound following my operation. Will try to get returned signatories to our nomination from the various Berwick Street Community Group members. 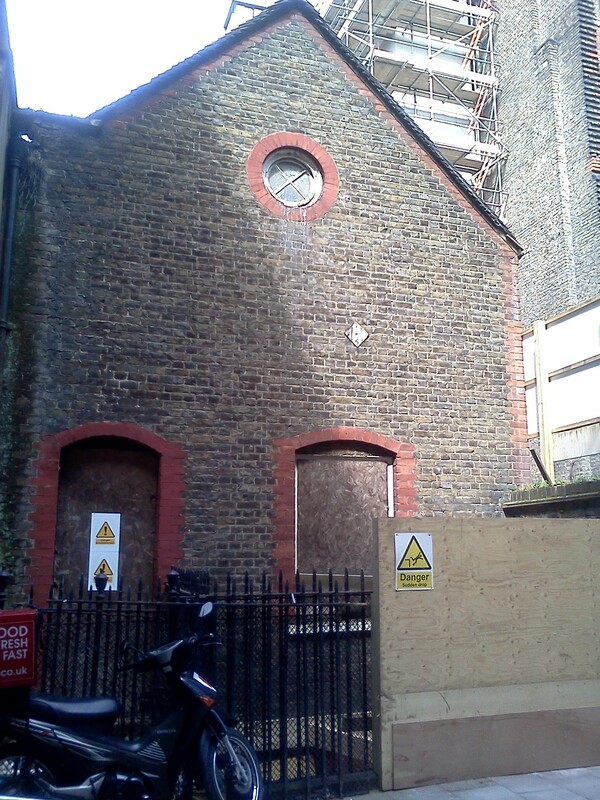 3rd February 2016 Westminster Kingsway College have appealed against the decision by Westminster council to grant the status of an Asset of Community Value (ACV) to the WKC Peter Street site. The application was made on 21st June 2015, the nomination approved on 23rd October 2015. The appeal was received by Westminster council with a letter from a planning consultancy, Quadrant Town Planning, dated 18th December 2015. We were notified and given copy by letter dated 19th January 2016, and requested our comments. There were not 21 nominees who were resident and on the electoral register in Westminster, Camden or Kensington & Chelsea. The nomination was for the disused Schoolkeeper’s House, and not the main, active college building. Westminster council delivered the papers to the wrong address. Further, I made comment on why WKC are appealing. The ACV merely makes the proposed sale of a property public, and gives up to 6 months for a bid to be made. It confers no special favour or discount to the community. But it does make any secret, clandestine deal impossible – this is the whole purpose of the 2012 Localism parliamentary act. Why would the governors of Westminster Kingsway College wish to only do a private deal, presumably with corporate developers? 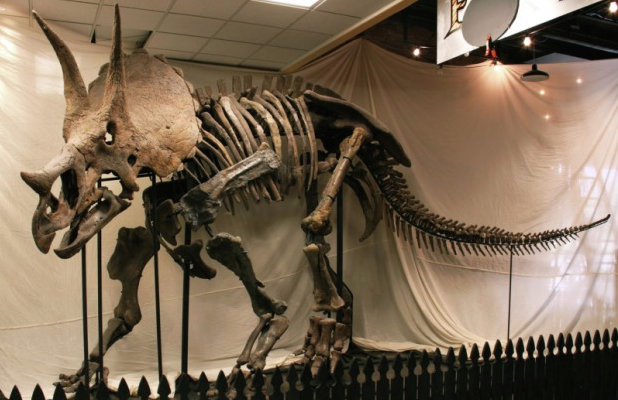 The site was transferred to WKC in 1995 for free. Should the government relax the planning conditions, as they intend, the 100% educational use could be relaxed to mixed use – e.g. retail, office and private flats. The adjacent Hopkins Street is about to receive a dramatic face-lift – 5 star hotel, expensive shops, £1 million private flats… not much for the local community! The site will go from worthless as educational, to £millions on relaxation of planning. A secret deal, as WKC clearly want, is highly suspicious. 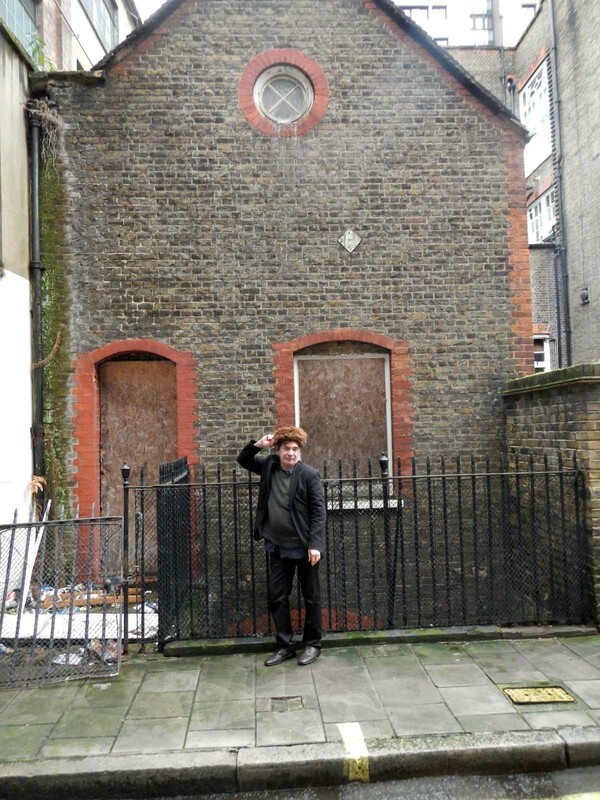 23rd October 2015 Barry Smith, Head of City Policy & Strategy, Westminster council approves the nomination by Berwick Street Community Group of the Westminster Kingsway College site, 15 Peter Street, W1F 0HS as an Asset of Community Value. 8th October 2015 I did an interview with Alex Snelling of Slack Alice Films for a TV documentary on the embryonic days of the Shoreditch scene, the late 1990’s. I started the Foundry in 1998, so we chose the outside of the old Foundry building, now called the Hoxton Pastry Union. Alex’s theme is the gentrification/corporatisation of the area, and he wondered if I would have preferred to have remained longer in the area as an entrepreneur, in order to take advantage of the new money. Clearly, I (and I’m sure no-one else from the original era) were ever in it for the money! 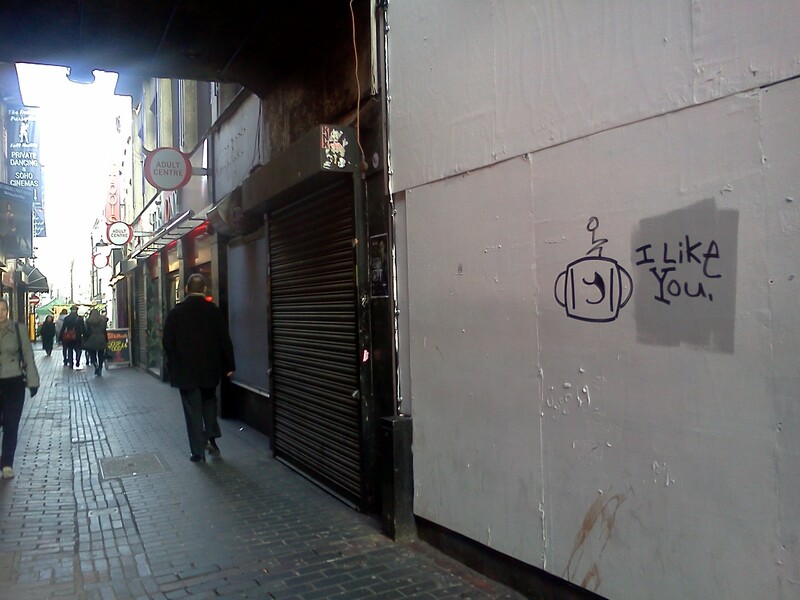 I compared the change in nature from the heady art-driven energy of 1998 Shoreditch to the dull office worker/City boy culture on the Friday night streets of Hoxton now, to that of Soho and the Lower East side of Manhatten, and how the guts have been ripped out of those areas by capitalism in the same way. The documentary should be televised next year. 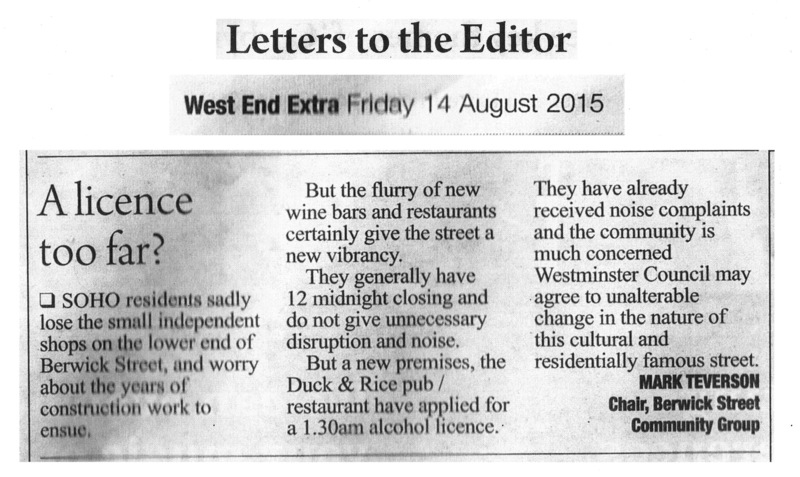 25th September 2015 Local newspaper; my comment on the previous week’s Soho Foundry article. (Click on the below image to enlarge). Also this morning, I had coffee with the leader of the opposition Labour group at Westminster council, Cllr. Adam Hug, and showed him the Soho Foundry site. He is associated with a nomination for a pub on the Harrow Road in Maida Vale, London W9, who have also had their nomination for Asset of Community Value to Westminster council mysteriously “lost”!. 21st September 2015 Facebook news feed: Mark Teverson shared a memory from 21 September 2012. 3 years ago. The Soho Foundry project tried to get planning permission for an art gallery and licensed family cafe in a small disused building in Soho. Westminster council planners were in favour of the application, but the freeholders, Westminster Kingsway college, objected on the grounds that they now wish to use it for educational purposes. The building had been empty for 24 years. Now, 3 years on, and the building is still unused, and Mark Teverson, chairperson of the applicants Berwick Street Community Group, is trying to protect the site on which the building sits from the freeholders doing a secret, private deal with corporate developers and retain the site for the local community.The destruction of Soho must be resisted by the community! Goto https://sohofoundry.org/ for the full story. www.foundrysoho.com (Click on the below image to enlarge). 18th September 2015 West End Extra (local London West End newspaper) (Click on this to enlarge) . 27th August 2015 Westminster council say the guy that’s been handling our nomination as an Asset of Community Value, Peter Large, has now left and they can’t find our application. How do we have such incompetent people running our affairs – or, it would be reasonable to assume, they are intentionally obstructing our application! An Asset of Community Value (ACV) is the confirmation by the local council that a building has been noted as being important to the local community. This is enshrined in the Localism (2011) act of parliament. Being an ACV means that the owner of a property cannot do a private deal, say, with developers, without giving notice to the community of intention to sale. There is no privilege or reduction in sale price, but it does give interested parties up to 6 months to gather funds. 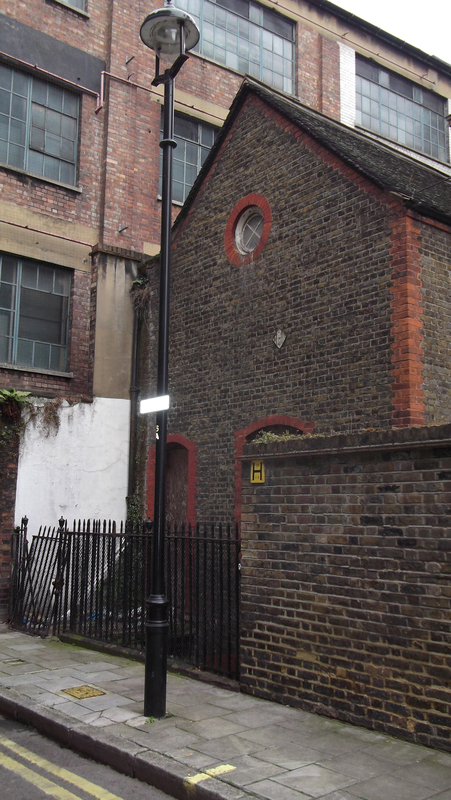 It is written on the land registry for the freehold, and also protects the building from demolition without notice (the site is also within the Soho conservation area). The important point is that a private, secret deal cannot be made without notice to the community. If we achieve this nomination, it does not give us priority over developers, but does give us an equal chance, publicity for our cause, and may deter developers’ interest in the Peter Street site in the first place. Currently, the site has planning permission for 100% educational use only, so is of little interest to developers. However, the current Conservative government, elected for a second term, may well legislate to allow local government to relax these conditions. 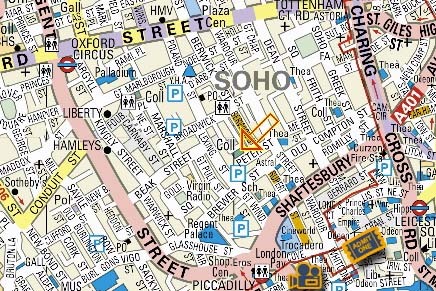 If for example, mixed use of shops, expensive office space and private flats were allowed with a token percentage of educational space, the site is worth £100’s million, and will certainly be lost to the community, as is being done with so many other sites in Soho. This has to be stopped. Signed nominations by 26 people living in Westminster or Camden who are on the electoral register. 17th June 2015 After many emails and phonecalls, and finally by appealing to Jane West, Head of Finance & Corporate Affairs at both Westminster and Hammersmith & Fulham councils, received an apologetic email from Westminster. We had been assured 2 weeks response from draft submission (27th January). This was 5 months! 27th January 2015 Submitted draft nomination of entire site – main college building, schoolkeeper’s house and adjacent land, bounded by Peter St. Hopkins St. & Ingestre Pl. – as an Asset of Community Value. Submission made to Peter Large, Head of Legal & Democratic Affairs, Westminster Council. October 2014 If you would like to be included as a nominee to make the Peter Street site an Asset of Community Value, please contact: markteverson@berwickcommunity.co.uk immediately. You must be on the electoral register in Westminster, Camden or Kensington & Chelsea. Thankyou. 24th September 2014 Meeting with Peter Large, Head of Legal & Democratic Affairs, Westminster council. 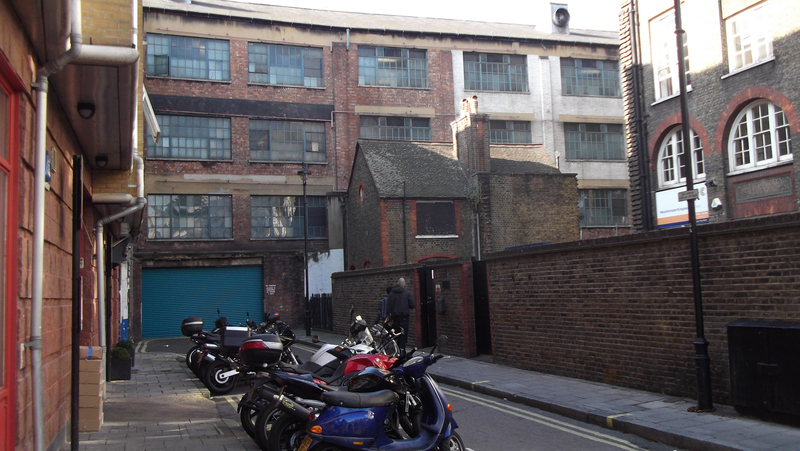 Discussing the nomination of the proposed Soho Foundry site as an asset of community value. We would expect the council to support our application, but it could be opposed by the freeholders, Westminster Kingsway College. If registered successfully, the community would have up to 6 months to raise funds to purchase the site. It also has an entry on the land registry that it is nominated as an ACV (Asset of Community Value). My concern is that, should the Tories remain in power following next year’s general election, they may relax the planning regulations. Currently, the Peter Street site is educational planning use, and is of little interest to a commercial developer. If this restriction were relaxed, say to mixed use – for example, ground floor retail and private flats on the upper floors – a sale could be envisaged. I am trying to protect this site from sale and commercial development, which I believe is the ultimate intention of the freeholders. The college was originally built as a school in 1880 and has been an educational establishment continuously since then. We want to make the main college building into Soho Workshops, start-up short light industrial leases for local businesses and artisans, and the Schoolkeeper’s House into Soho Foundry, community art gallery, family cafe and outside event space. 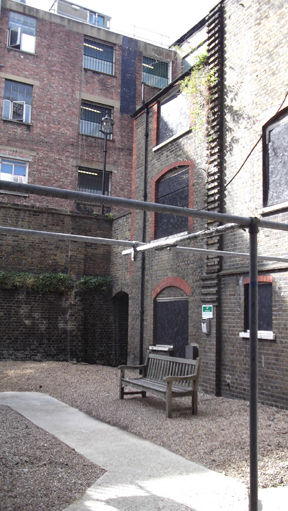 24th August 2014 Incorporated Soho Foundry London Ltd.
2014 Meetings with Jeremy Fennell of Locality, a community organisation who are assisting us with a ‘Right to Bid’ application to Westminster council for the college site to be registered as an asset of community value. This paragraph will be updated shortly (July 2014). April 2014 Current situation goto www.foundrysoho.com/21. 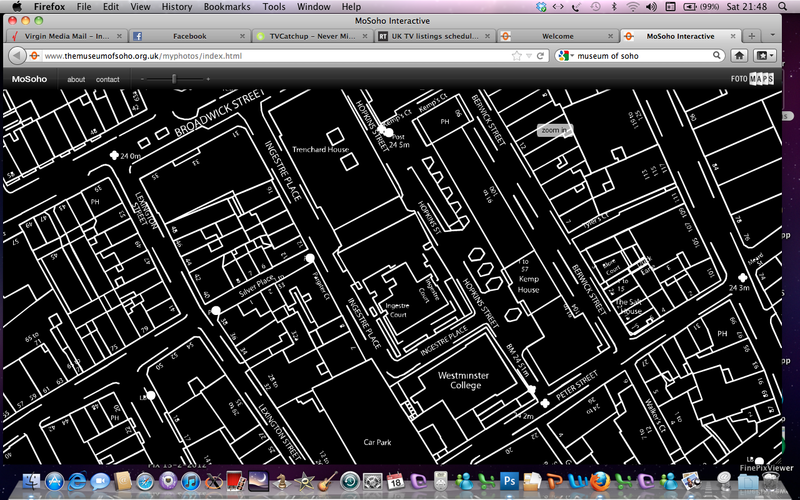 Application to Westminster City Council for the entire site (ie. 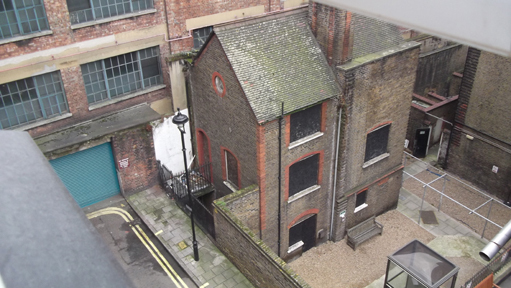 Schoolkeeper’s House, college building and all land) to register Berwick Street Community Group to have an option to purchase on the register of assets of community value. This nomination will be forwarded to Peter Large, Head of Legal and Democratic Services during June 2014. Mark would like to use the successful set-up he implemented when he started the original Foundry. Exhibitions of fine art, sculpture, photographs etc. would be run for several weeks or months, with the usual previews. In addition, regular weekly events eg. Sunday poetry night, modern jazz dj’s Tuesdays, movie Fridays (maybe summer film BBQ’s outside? )…… and one-off events. A small bar and food are provided. A computer is available in the cafe area with Wi-Fi. No charge for entry. A place to meet. Pitstop for the kids while you’re out shopping? Community noticeboard? Jumble sales every couple of months? Crisis at Christmas (homeless temporary accommodation)? Book fair? Chess & games’ club? Outside theatre & stand-up while dining alfresco? Outside film nights + local filmmakers? All this bang in the middle of Soho! The formation of the Soho Foundry is currently very active (2014). Watch this space. UPDATE!! Goto 21st August 2012 for current (January 2014). 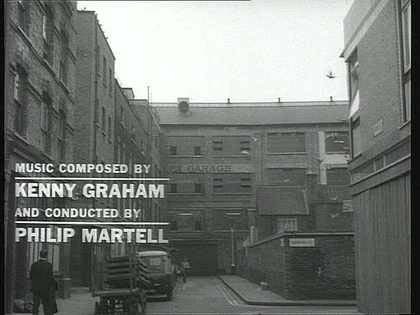 Still from 1962 film Small World of Sammy Lee with Anthony Newley. 1st June 2012. Still awaiting Westminster planning. 8th July 2012 (over 5 months since submission of application!) – still awaiting Westminster planning. Could you give us any idea when this will be considered? My apologies for taking some time to get back to you but this is due to my need to understand the position of Westminster Kingsway College (WKC) in this matter, as they own and operate the site you would like to lease (from them). This is because, as you will recall from our previous discussions, the school keepers house (being part of WKC) is in lawful educational use and the City Council’s policies seek to prevent such uses from being lost to other uses unless they are surplus to the requirements of the current operator. When we met you informed me that as the school keepers house had been vacant for many years it was your understanding that WKC has no use for it either now or in the future, and therefore it is surplus to their requirements. I am sure that this was understood by you in good faith, but in the event it has turned out to be incorrect. WKC have plans for this site on which they wish to extend the main college building , and these plans are very well advanced. With this knowledge it is not possible to demonstrate that the land is surplus to the requirements of the college, which is the test needed to be passed for the City Council to be able to support your application. I am unable to put your application forward favourably and, in these circumstances, you may therefore wish to consider withdrawing the application. If not I shall prepare a report to the planning committee setting out the officers’ reasons for not supporting your proposals so that a formal decision can be made. Thankyou for your email, 10th July 2012 in response to our planning application submitted 1st February 2012. We certainly wish to proceed. The building has been unused and unkept for 24 years. As a charity, they have a legal duty to pursue their statutes. One of these is to ‘Make best use of their property’, and ‘To be constructive for the common good’. Many thanks for your email and update. As previously advised planning is an issue in relation to the use of buildings but even if your planning permission were to be obtained it would not entitle you to utilise the building without the consent of Westminster Kingsway College. I understand that they have plans for the building and I presume that you are in contact and discussions with them in relation to your proposals. The current situation (please view the attachment to this email) is frustrating. The building has been unused for 24 years. Could you be of help? Would you give me a brief meeting? This follows the email I sent on 18th July. I’m obviously frustrated. I’ve sent the same attachment to the three councillors for this ward. There will probably be some response from them this week, and they have their monthly drop-in surgery this Friday. I have also sent the attachment to a retired solicitor who I would like to get on board, and to a barrister friend. I need to know what the next options could be. For example, is the council obliged to give a decision in a reasonable time frame, how can we find what else has been lodged, would we have precedence over the freeholders since our application was the first submission, etc. Also, what duty does a charity – which the freeholders Westminster Kingsway College claim in their accounts they are (though they are not listed as a UK charity!) – have to make good use of their property. I need advice. Would a meet sometime this week with you be possible? I can make any time convenient to you, Kings Cross or elsewhere. Apologies for not getting back to you sooner. I have been out of the office at meetings. I have read the correspondence and note that the Case Officer considers the use of the building as education, i.e forming part of the college. As I think we discussed this does not directly impede you from making an application, however, the case officer is also not without justification in using information provided to him from the college in forming his opinion. As recommended previously, you should attempt to discuss the plans the college have for the site with them directly as support or at least a temporary agreement with them is likely to prove mutually beneficial. Your application unfortunately will not have precedence over the freeholder and specifically, as the ability to carryout the planning permission is a material consideration, any application submitted by the college themselves may carry more weight with the case officer. 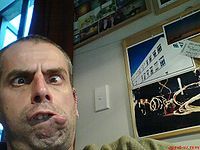 I am on leave from next week until the 22nd of August, and as you appreciate, fairly busy in the run up to going away. If anything urgent arises you may want to contact PAL to get advice from an alternative volunteer in my absence. Your reply does answer one very important question, that being that the college have precedence, even if their application is subsequent to ours. Knowing that, I shall endeavour to make renewed efforts to make a dialogue with the college, and I might try another meet with the case officer. I will see the councillors on Friday too. This isn’t the news I wanted or expected, but I’m going to push on. I start full-time postgrad study mid-September. Our application, submitted to Westminster planning 1st February 2012, does NOT take precedence over any use by the college, if their use is educational or for other approved planning uses (ie. community). 2 Check on the obligation Westminster planning has to make a decision in a reasonable space of time (it’s already 6 months since submission). 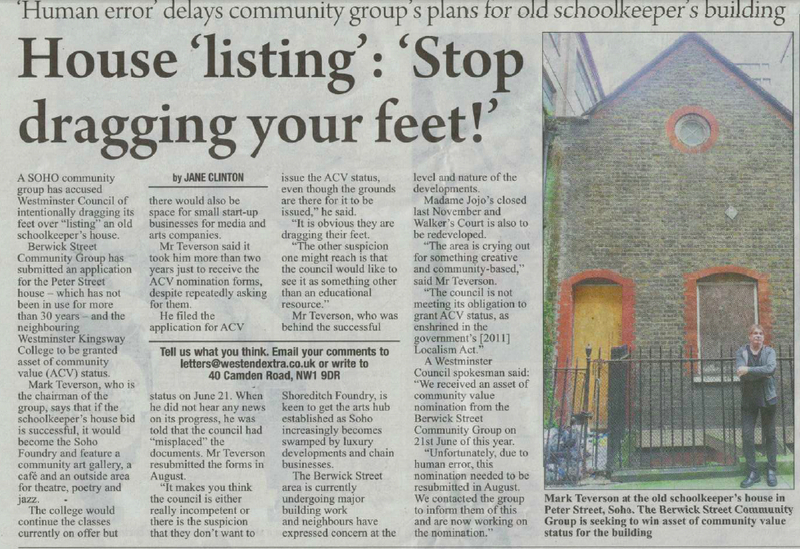 If WKC say they are intend to use the building, will this decision be made when work actually starts on the premises? 3 Check on the charitable constitution of WKC. What obligations do they have to make good use of their property? They appear not to be listed in the UK! As mentioned, we need advice as to what we can do now, 6 months after submission of the application to Westminster. Hello Mark, thanks for your email. I am not in the office on Monday (4 day week). So, might I suggest that perhaps you call the office on Monday morning say, after 10am & give a briefing about this to either Tony Wilson or Nancy Astley (PAL planner & Director) with your concerns. Unless of course things have changed since your meeting this afternoon. They may be able to give you some suggestions. Many thanks for your email and update. I will discus this with Ward colleagues and revert to you. Please only print if necessary.